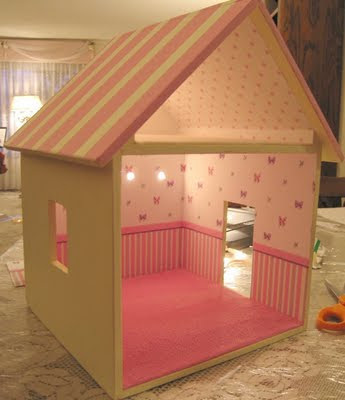 Here's a small "studio" doll house with an attic. It's meant to be cute instead of real looking! Maybe you can tell, but it uses the wallpapers from earlier posts.